For the past two weeks we’ve been luxuriating in our first abundant fruit harvest. My kitchen is overflowing with blackberries and peaches, green beans, cucumbers, and zucchini. I can’t believe I’m saying this, but we have so much that I’m beginning to run out of recipes! I was reminded in the midst of all these gifts that many people think only of the food options involved with these fruits. 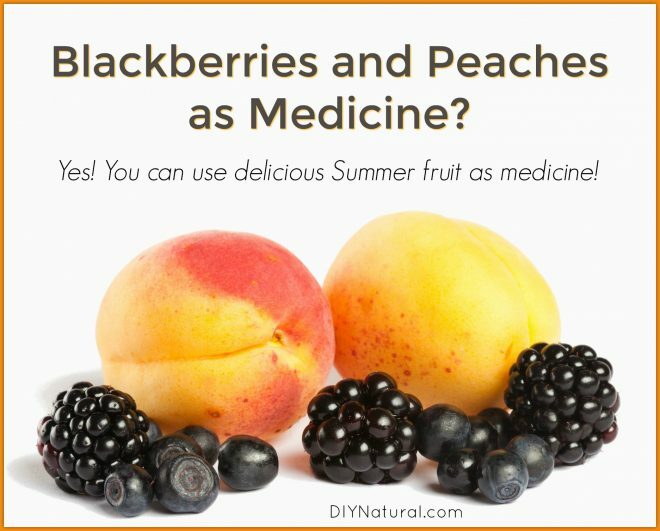 Did you know that most of your summer fruits have a medicinal use as well? The peach is part of the rose family. It has hitched a ride with humans to all parts of the world, but it appears that the fruit tree originated in the Chinese countryside. The leaves, fruit, flowers, stems, bark, and even the woody pit have been used medicinally at one time or another. Today the pit is not often used because of the threat of cyanide poisoning. Of course, it would take quite a few pits to actually do harm. Nonetheless, internal use of the pit is not recommended. However, an old folk remedy suggests that infusing the pits into vinegar produces an effective remedy for baldness and thinning hair. There appears to be quite a bit of anecdotal evidence to support this! Peach leaves and fruits are known to be cooling and soothing to the body. They contain mucilaginous compounds that can be used in the digestive or respiratory tract. Both of them can be dried for use in teas throughout the fall and winter. Peach leaf has a long history of use with pregnant women who are struggling with morning sickness. 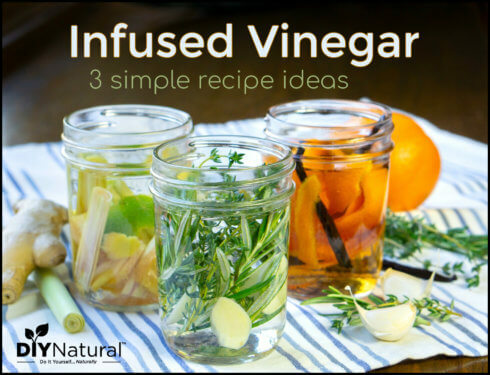 It can be added to a pregnancy tonic tea and used during pregnancy with great results. Perhaps my favorite use for peach leaf is in children that are overexcited – especially when it’s a result of something they ate. My husband often forgets the fact that our children are especially sensitive to dyes in food. I can usually expect a difficult afternoon if they have gone for a haircut and received a sucker from the hairstylist. Peach leaf as part of a calming formula can be a big help to get things back on an even keel. We hear a lot about the use of red raspberry (Rubus ideaus) for the female reproductive system. While blackberries are a completely different species, both plants are high in flavonoids and beneficial elements for the human body. My daughter recently began experimenting with making a different tea each day. She was drawn to add fruit, something I hadn’t really ever thought of, and it was delicious! Make fruit pies, crisps and compotes, put up jellies, and freeze fruit for winter smoothies. Be sure to take some time to put these delicious fruit medicines aside as well. You’ll be glad you did! 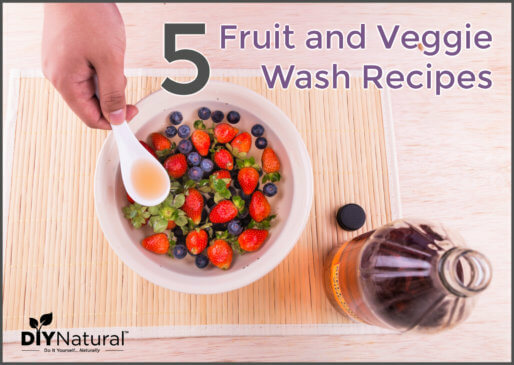 Do you have some interesting uses for summer fruits? Share with us in the comments below! I have an abundance of Gravenstine apples and blackberries at the same time each year. I quarter the apples and put them into the steam juicer then go pick 6 quarts of blackberries. By that time the apples have reduced enough to put the berries on top and have them juice together. The juice is hot enough that I can put it directly in sterilized bottles and seal it for winter parties. The remaining pulp I put through a food mill to remove the seeds and skins and seal in glas or freeze as a staple for my winter smoothies but it can also be used as a spread because it is thickened by the apple pectin with no added sugar but I can add some stevia leaves from my plants. Blackberries have “binding qualities” that quickly help with diarrhea.